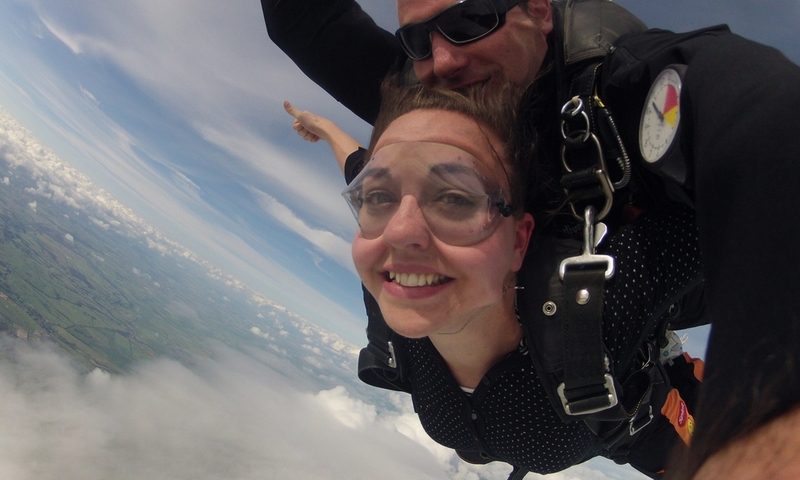 A couple of years ago I went skydiving. This was something God had been telling me to do for at least eight years. I had grown up with a huge fear of falling. While I loved heights and had no issues in planes, the moment I felt unsafe or unprotected, I would be filled with fear. It would physically disable me for a few minutes. God has always taught me to face my fears and deal with them head on, in the same way that David did when he faced Goliath. So I have done specific things in the past. But when He told me I would jump out of a plane one day to face this fear of falling, I was mortified and immediately set my heart to push it as far into my future as I could imagine. He would bring it up in my heart every so often, gently reminding me that one day I would need to follow through. Over eight years later, I was finally able to step up and face my fear. I was nervously excited as I prepared to get on the plane. I felt God smile when I found out the name of the plane was "Old Faithful" and had just clocked 12,000 flights and my instructor had recentlypassed 7,000 jumps. My fear stayed quiet until I was sitting in the doorway waiting for the plunge. Suddenly, I felt my fear trying to take over me. But it was too late. Here I was free falling with no way of excaping it. I could not get away or make any of the decisions. I was at the mercy of my instructor, his knowlege and his experience. I knew God had me right where He wanted me. There was nothing I could do but trust. I could not change anything. I could not fix anything. All I could do is trust the one who I was attached to. I had to trust His knowledge of the equipment and the weather. I plunged down in freefall for the longest six seconds of my life. Everything in my that wanted to stay in control of my life was suddenly exposed. As I fell through the sky, I felt all the fear break off my life. Sometimes we have to trust the one we are with. We do not always see where Jesus is, because He has got us covered, from behind. Nothing is going to escape Him. He sees everything and He knows what to do next. We only need to trust the One we are with. He always has our best interests at heart. So why do we worry?